Zoe has been a welcome part of our life for 10 months now. The Renault ZE40, fully electric car, has more than exceeded our expectations on all of the factors we considered before making the move. 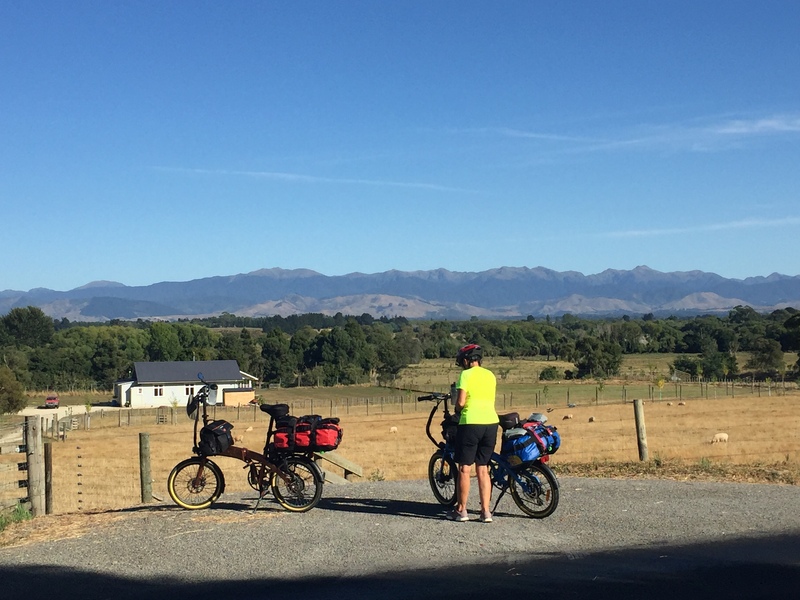 Apart from; the price, very low running costs (we have solar and most charging stations we regularly use are free) and the lack of emissions, the travel experience has been a bonus for us. Ruth and cars have never been a great combination but Zoe has transformed car travel for her. 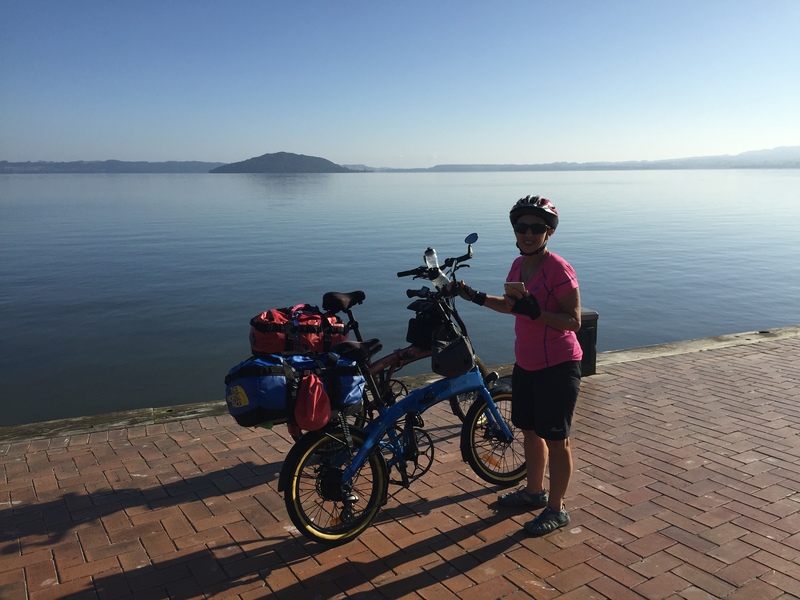 She commented that the lack of vibration and noise and taking our time, mean that those 200+ kilometre trips are not the ordeal that she used to experience. 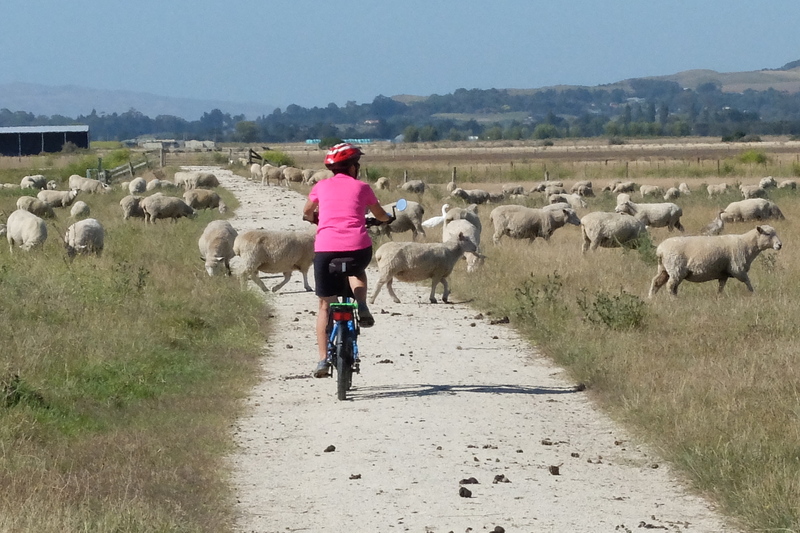 This summer’s bicycle road trip was a success although Ruth did indicate that she was not interested in any future ‘endurance riding’ as she calls it. 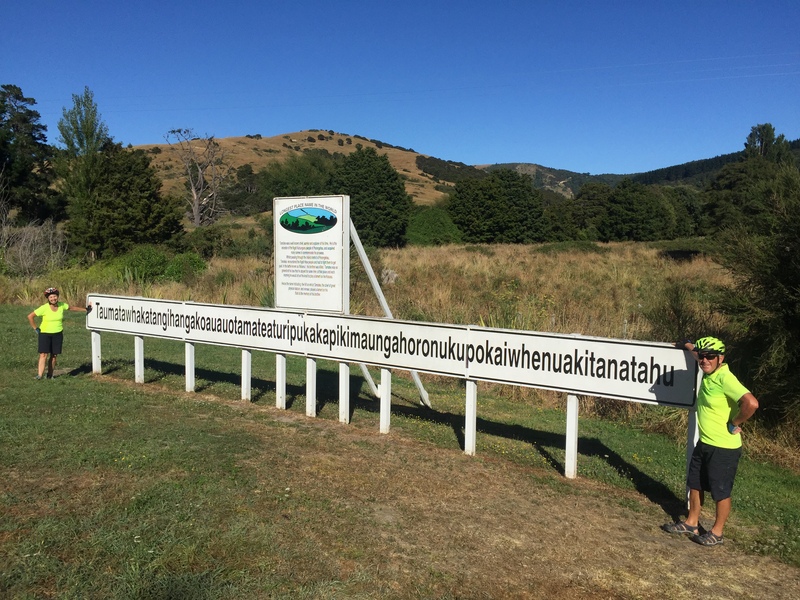 So, our next adventure will involve the car with Cliff doing his ‘endurance thing’ solo while Ruth and Zoe enjoy a little more time at the next destination. Up until now, our most ambitious journeys by EV have been in the range of 1,200km (return). We rarely use the car at home, choosing to walk or cycle everywhere around town. The reason we chose Zoe was her range of 270-300km on a single charge. That comfortably got us to our regular out of town destination of Auckland. In the 10 months to date, we have clocked up a reasonable 12,000km in Zoe but over territory that is adequately serviced by charging stations that work for Zoe. In New Zealand, the weapon of choice for early adopters, has been the earlier generations of Nissan Leafs. As a result, the national charging network that has been developed (by Chargenet) largely caters to that make of vehicle. The charging stations deliver a fast DC charge via a fixed cable which means that if your vehicle does not accept the plugs on the station, you cannot use it. These earlier Leafs have a fairly limited range. Great for around town running and work commutes but you need regular and faster charges to make a longer trip possible. Most of the Leaf owners that I know have a second internal combustion engined vehicle for those longer trips. The ChargeNet network (Left) which we cannot use and Type 2 Outlets which we can (Right). The circle shows our range (not the full vehicle range) without topping up – if we were travelling from Nelson in the South Island. I guess it would have been easier to get a Leaf. But, given that our primary need was not ‘around town running or the daily work commute’ and we only want to own one vehicle, we went for the Zoe with it’s longer range. That decision came with a challenge; an even more limited range of charging stations. Even though the Zoe uses what appears to be a pretty standard plug (a Mennekes Type 2) which, I understand many electric vehicles can use, our only current national charging network, does not (mostly) offer this option. I suspect (and understand) that the primary reason is that need for frequent and faster charges by the predominant Leaf. Here we must give a ‘hat tip’ to those who think outside the box and do have Type 2 facilities. An NZ retail chain, The Warehouse, has installed chargers in many of it’s stores and these are Type 2 – good thinking The Warehouse (and thank you!). There is usually something that we need from The Warehouse while Zoe charges up outside. The Power Companies that have venutured into vehicle charging infrastructure also provide Type 2 (in addition to the fast charging options). The best aspect of both of these, at present, is that they are free to use although I am sure that will not last. When we drove a petrol car we never ran the car to empty before looking for a petrol station. It is no different when you drive an EV. As such we like to have a buffer for those unexpected (but not uncommon) events such as a detour. 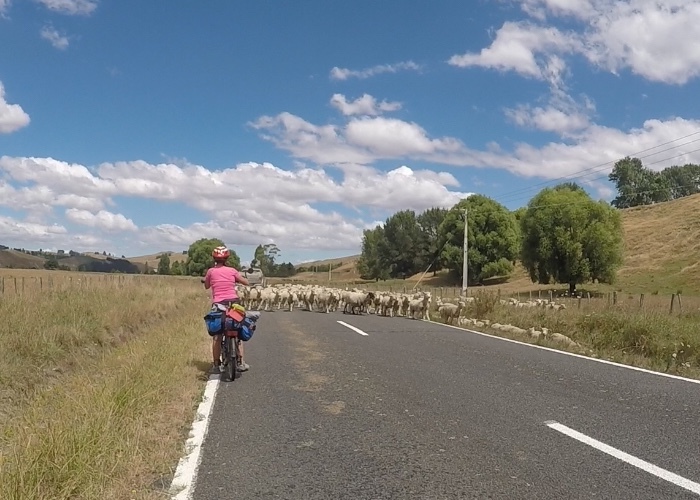 We struck one on a recent trip to Auckland that resulted in our normal 3 hour travel time turning into a six hour nightmare including a detour off the detour. So, we look to ‘top up’ regularly, where a faster charge is an option. 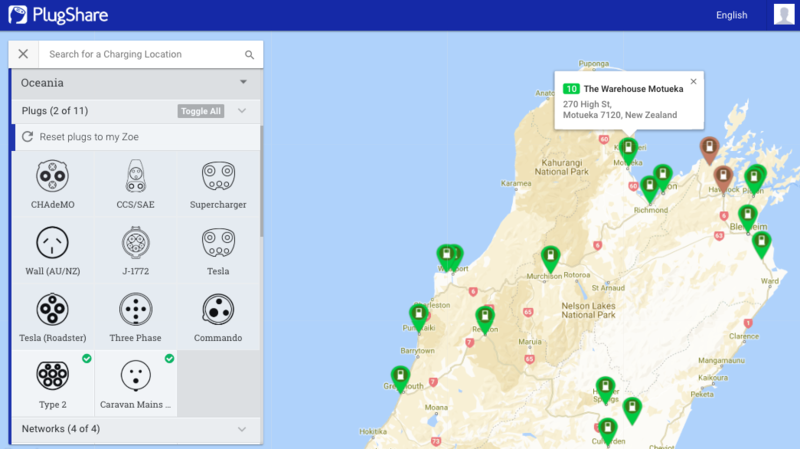 As you can see on the map above, that displays our range of charging options, there are some significant ’empty’ spaces, especially once you get south of the New Plymouth / Napier line in the North Island. This is not a game breaker but it can reduce your daily driving distance. At the end of that day you need to ensure that you have EV friendly accommodation that will allow you to charge the vehicle while you are recharging your own batteries. We have the time and prefer to take our time so a shorter hop is not a problem and it means that we get to experiences places that we would have previously sped past. However, be warned, impulsive and unplanned road trips in an EV may not have a happy ending. Finding that friendly accommodation is easier said than done. While Plugshare does show friendly accommodation where you can, apparently, charge your vehicle, these are very limited, usually camp sites that have powered sites (we can use a commando or caravan plug for a slow charge) and the occassional motel or hotel also displayed. There is very little recent feedback from electric travellers (probably because for most owners don’t use their EV’s over longer distances). The reality is that you can slow charge your vehicle on any domestic power outlet, it just needs to be accessible (we have an 8 metre lead) and you need to come to an arrangement with the owner. This Plugshare screen shot shows charging available using a Type2 plug or a Caravan plug. Plugshare is a useful tool for trip planning – you can also download the app onto your phone – it theoretically tells you if a plug is available but that is dependent upon the person on the plug being an active Plugshare user – most are not. As we have started to look at our itinerary and the distances between A and B we have been investigating accommodation options. Firstly, with the exception of one motel to date (which only provided for the Tesla), other accommodation providers do not show EV charging as a ‘facilty’ provided. This shortcoming includes global booking portals such as Booking.com and AirBnB. Come on people, you may have a golden opportunity (see my later comment) to be a little ‘innovative’ and even win a few ‘climate friendly brownie points’ and, maybe even provide a point of difference that could swing that marginal guest. This lack of information means that we need to send a reasonably detailed inquiry to find out if vehicle charging is possible. With motels or camp sites, the answer (where we received one – in many we haven’t got a response) is usually affirmative. Some charge an additional fee which is fair enough. In a few instances, this ‘fee’ looks a bit like price gouging. I know the price of a kilowatt of power and how much we will probably need so the cost has been a bit of a nasty shock. The record, so far, is a 500% premium on the probable cost of the power we would use but, to keep it in perspective, that is still less than what we would be paying for petrol! I can understand that if you are using a power point that could be used by another paying customer then there is an opportunity cost to be met. But when you are not… The worst instance was an intended three night stay where the provider wanted to charge us an addition $20 per night, even though we would only charge once. 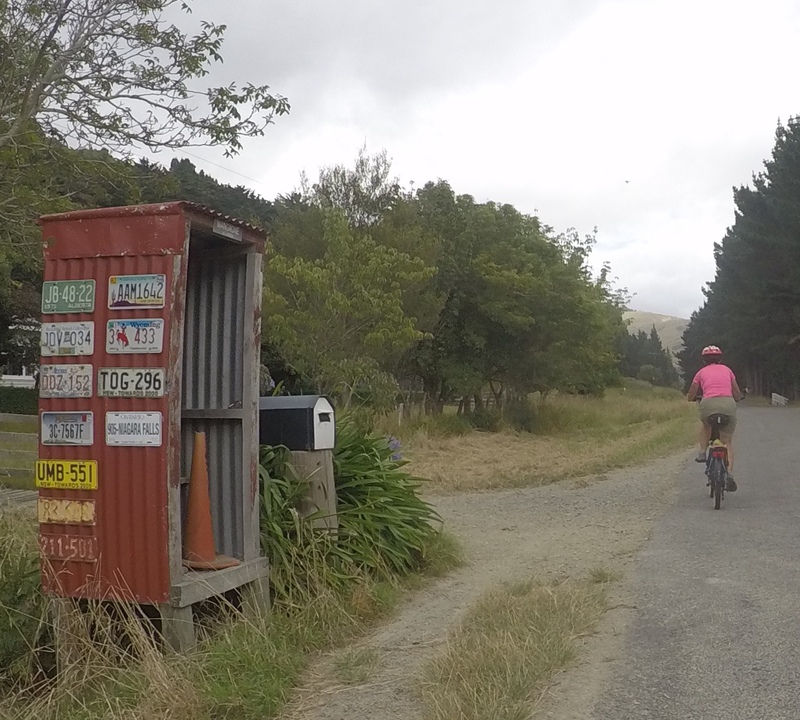 I suspect (well the cynic in me does) that the remoteness of some of the locations (and associated lack of alternatives) could be a motivating factor. Or, it could just be ignorance of the newish technology. On a positive note, one of the accommodation providers wants us to take him for a drive when we get there. Maybe our little trip will be educational for others (I have no doubt that it will be for us) but unfortunately we are not influencing those that need to be acting. With each passing month, the news on climate change get’s worse. The lack of any meaningful action becomes even more baffling given that the end game is survival of all species (including our own). Sure profits may be impacted and shareholders may not get the return they expect but isnt there a time when survival trumps (pun intended) money. Motor vehicles are one of the main contributors to CO2e emissions in NZ and yet in 10 months of ownership of an EV we are still at the “frontier” with a mere 13,000 EV’s in New Zealand (April 19). A target of 64k by 2021 would still represent less than 0.05% of the light vehicle fleet and with these paltry numbers the frontier looks set to continue for some time yet. Despite some of the hassles, we would never go back to an internal combustion engine. The EV is fantastic. Having said that, in the short term or as long as the status quo persists, it is unlikely to be a compelling option for most. You are pioneers paving the way for the future! Not sure about that but it is an adventure in itself. Patience is an attribute that doing this requires bucket loads of.